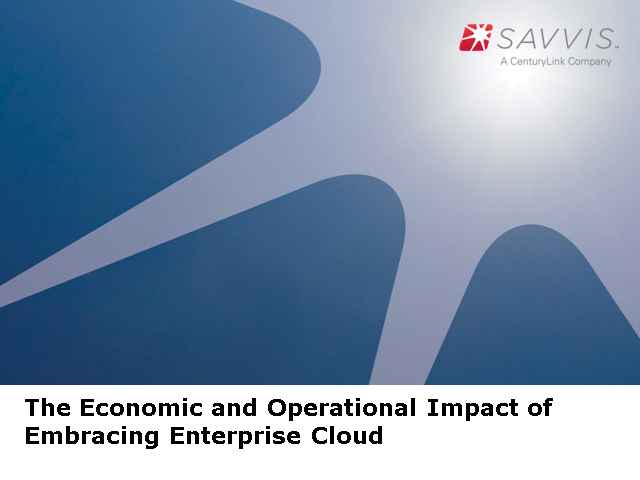 Please, join us for a very informative webinar on September 22nd, with Brian Kingbeil, SVP of Savvis and Nick Van Der Zweep, Director, Bus. Strategy, Industry-standard Servers & Software at HP to learn how Cloud Computing can truly become your strategic weapon for success. In this one hour session, you will learn what Cloud delivers and the hype around it. Dip your feet in the water with a migration roadmap that addresses cost, resource, security, and compliance challenges.